LitiNomics is a consulting firm of professionals dedicated to addressing the economic and financial issues that arise in complex commercial litigation. We have an innovative and entrepreneurial culture that helps us solve the sophisticated challenges facing our clients. Our focus is primarily damages quantification and expert testimony, with a specialization in Intellectual Property litigation. We're always interested in talking to candidates with an educational background and/or experience in economics, finance, or accounting. LitiNomics seeks well-rounded, enthusiastic individuals with outstanding analytical skills, and a commitment to continuous professional growth. We especially prefer those with strong communication skills, and the ability to work in a team environment. Our analysts have the opportunity to work on a variety of engagements that leverage and build upon their capabilities and skills in a dynamic, professional environment. 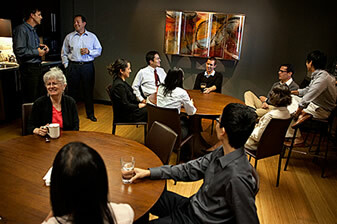 Analysts collaborate on teams consisting of other analysts, senior staff, and experts. These teams work with multinational companies and their legal counsel across various industries, including semiconductor, software, and biotech.